Founder and Chief Instructor of Aikido West. "Aikido is a modern self-defense system committed to the loving protection of all beings. It was conceived as a way to peacefully reconcile conflict without having to resort to violence. When done with love and compassion, aikido has the power to transform conflict and create harmony in the world." 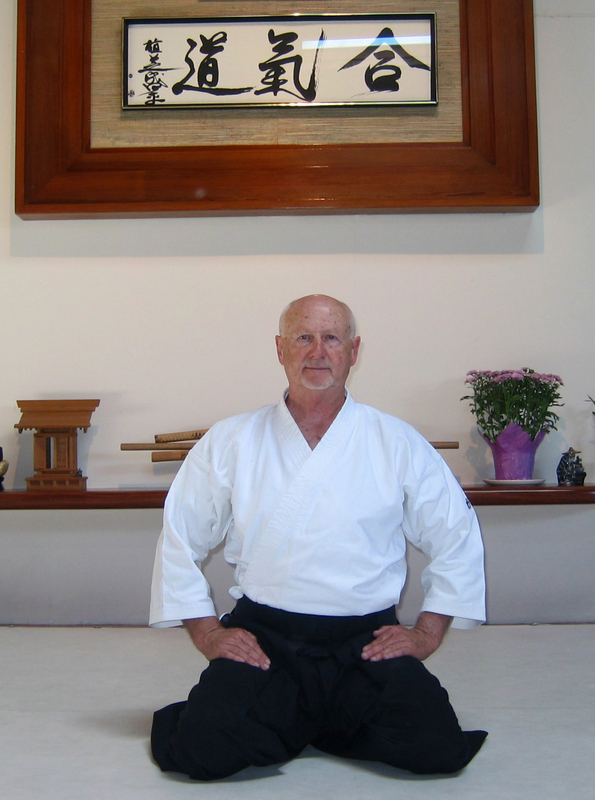 Frank Doran, the founder and chief instructor of Aikido West, has a long and varied background in the martial arts that began with his enrollment in a judo dojo in 1955. A former United States Marine hand-to-hand combat instructor and police defensive tactics instructor, he has studied a variety of martial arts. In 1959 he began formal aikido training, and has since trained and continues to train under many of Japan's shihan (master teachers). Aikido is his primary discipline and way of life. An internationally known and respected teacher, Doran Sensei is a frequent guest instructor at training seminars throughout the United States and abroad. He has taught at four colleges and universities including Stanford University where he has taught daily since 1972. He also teaches daily at his primary dojo Aikido West in Redwood City. Stressing that aikido is budo--a way of life that seeks to polish the self through a blend of rigorous physical training and spiritual discipline--his classes emphasize a balance between effective technique and the philosophical, ethical, and spiritual aspects of aikido. His current rank of 7th dan was awarded in January 2001 by Aikido Doshu Moriteru Ueshiba (grandson of the founder of aikido) at the Hombu Dojo, World Aikido Headquarters, Tokyo.